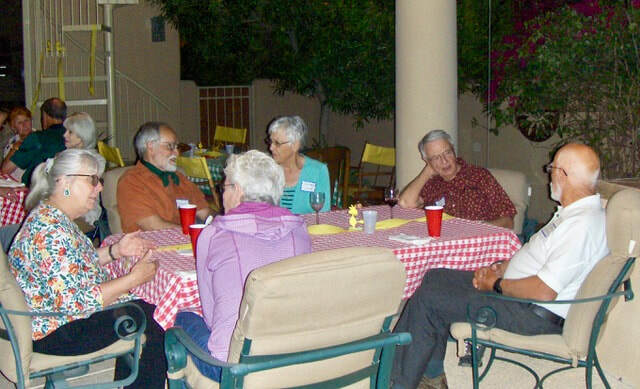 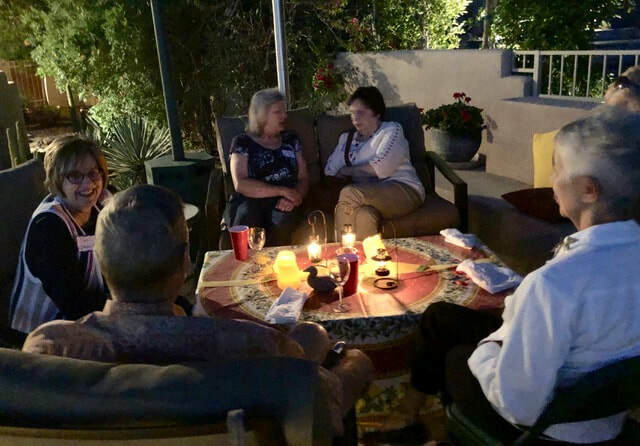 This is a group of active adults regardless of age - or sainthood status - who love to get together, eat and make new friends. 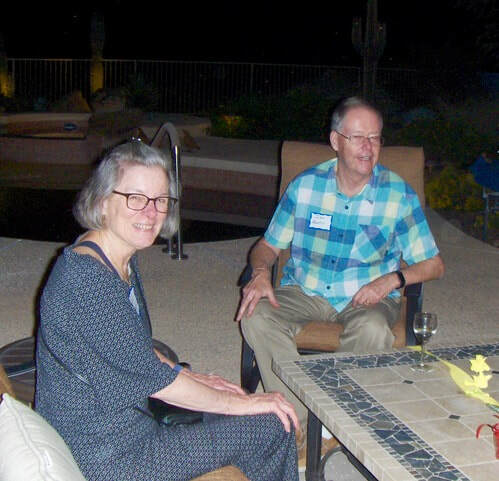 If you would be willing to co-host any of the planned activities or future monthly events, please contact Maxine Walker. 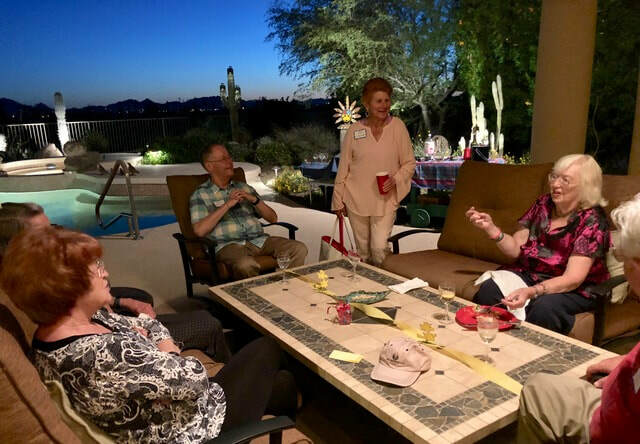 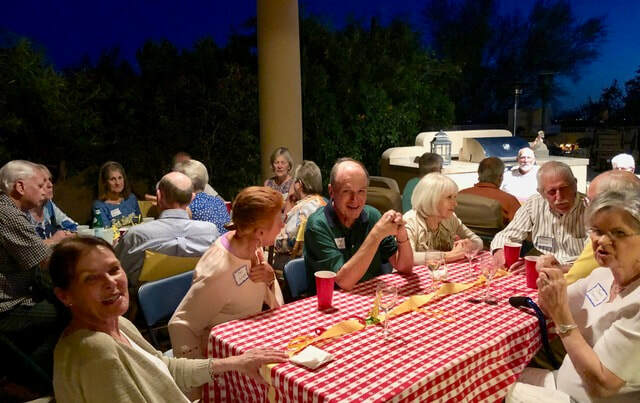 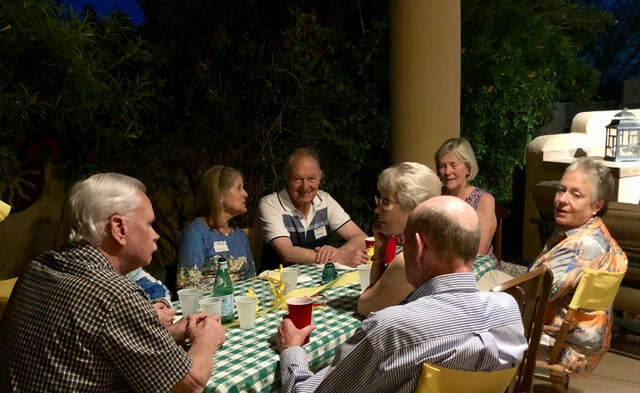 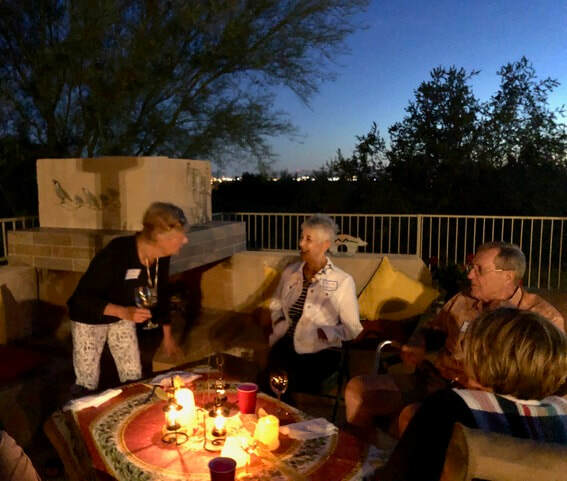 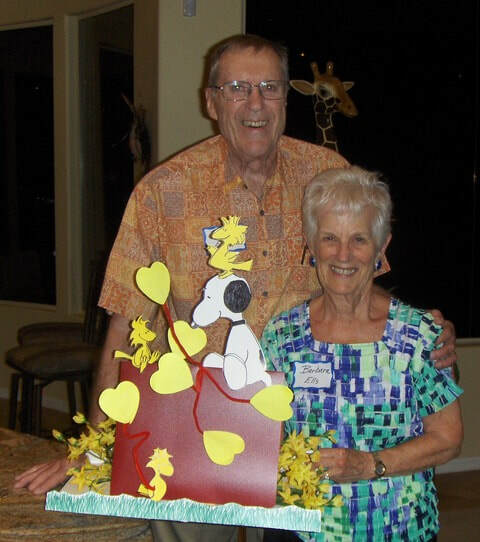 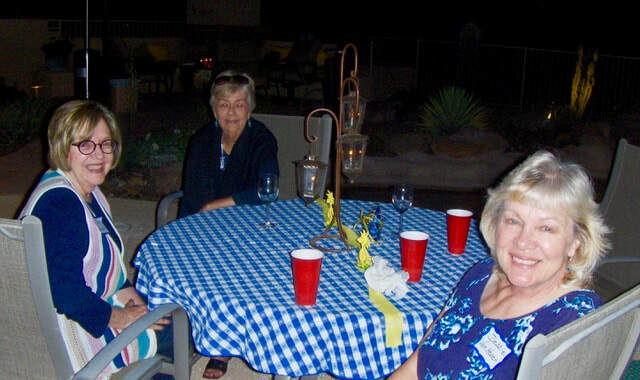 Here's some photos from the Spring Fling held at the home of Barbara and David Ells, co-hosted by Claudia Smith and Hal Hunt.